Apply now for the arrangers workshop 2014! THE METROPOLE ORKEST invites arranging talent to work with the world’s leading symphonic jazz- and pop orchestra. This workshop will provide young arrangers a unique opportunity to work closely together with this special ensemble under the supervision of it’s honorary conductor, the renowned composer, arranger and conductor VINCE MENDOZA. The orchestra’s honorary conductor Vince Mendoza and the Metropole Orkest may select you as one of eight participants to work with during this workshop. The selected candidates will participate in rehearsals and masterclasses with Vince Mendoza and the Metropole Orkest to be held from May 26th to May the 31st 2014 in Hilversum. 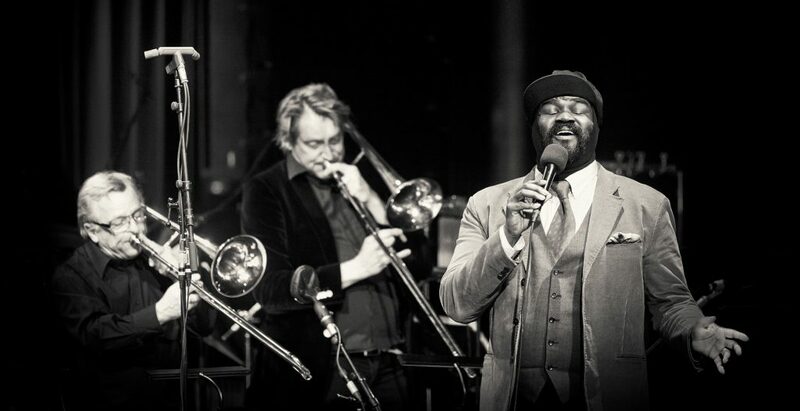 They will also have the unique opportunity of writing an arrangement for guest-vocalist Gregory Porter. On the final evening of the Workshop we will present the results of your work in a concert with Gregory Porter for a live audience on Saturday may 31st. If you wish to attend the workshop ‘Arranging for the Metropole Orkest’, then download the application form here and send an email for registration by January 1st 2014. All applicants are asked to send a curriculum vitae, scores in pdf-format of no more than 2 pieces for large ensemble and a demo with a representative recording of the 2 pieces (live recording or a good midi-demo) in mp3-format. These materials, together with the registration form, must be in our possession on January 1st, 2014. On January the 15th 2014 the selected candidates will receive an invitation together with additional information. Hotel accommodation will be provided for you by the workshop organization. No fee is required for the Workshop, but all costs of traveling must be paid by the candidates themselves.